Sunny, large alcove studio featuring incredible views of the Manhattan Skyline. 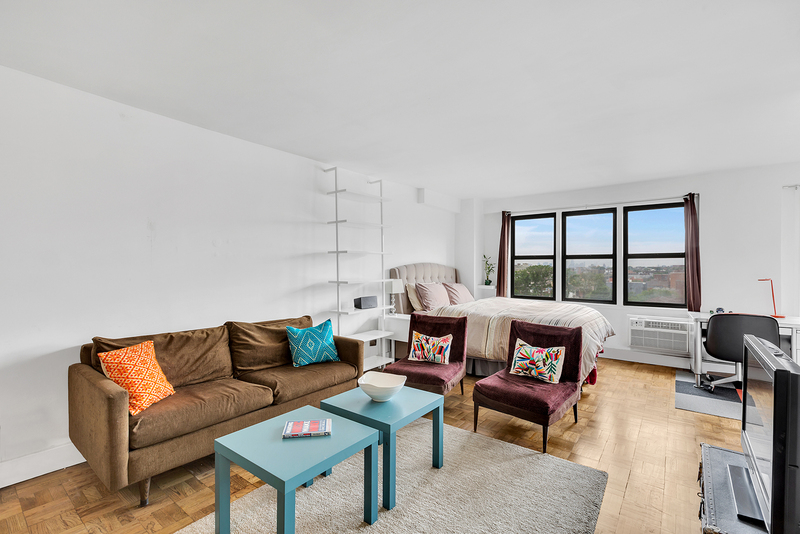 This apartment features an updated kitchen and wood floors as well as an alcove with room for a queen size bed. Board approval is required but the process is relatively simple! 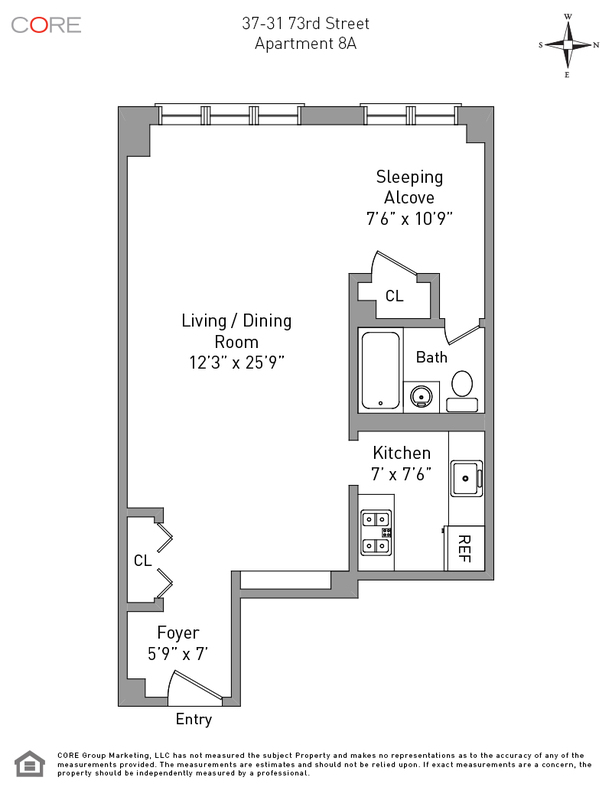 The Birchwood features a beautifully finished roof deck with expansive views of the Manhattan Skyline. There is also a part-time doorman (4:30 PM-12:30 AM, 7 days a week), a lovely marble lobby and an on-site laundry facility with new washers and dryers as well as bike storage.